Hairpin crochet tutorials, lots of patterns for hairpin lace crochet, how to crochet hairpin lace with beads, puff stitch hairpin lace crochet pattern. 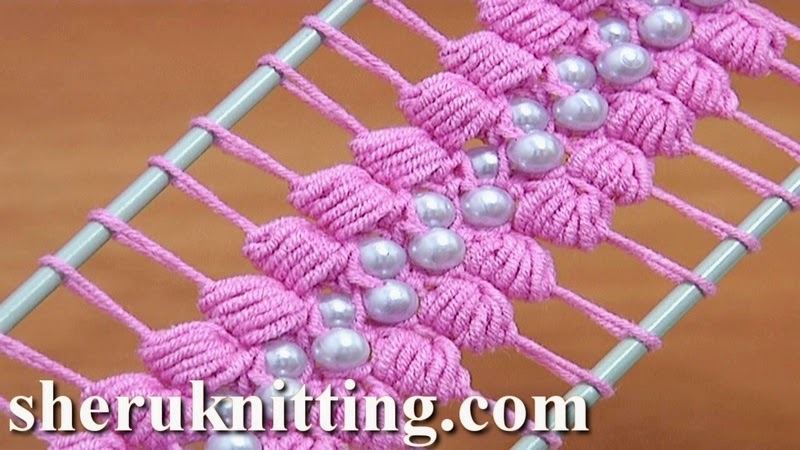 This hairpin crochet video tutorial demonstrates how to make a wonderful double sided hairpin lace strip working puff stitches and joining a bead before each puff stitch. This beautiful crochet pattern can be used for many hairpin lace projects. Thanks for watching! Steel Crochet Hook size 2.25mm or 2.00mm (#2 US standards or #4 US standards) and yarn: 55% Cotton, 45% Polyacrilic, 160m in 50g.